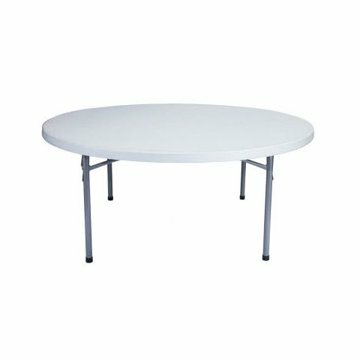 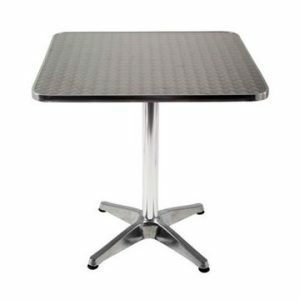 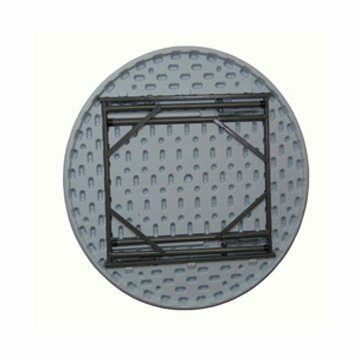 This 6ft round plastic trestle table (or catering table) is another in Ningbo’s roster of plastic and wooden trestle tables. 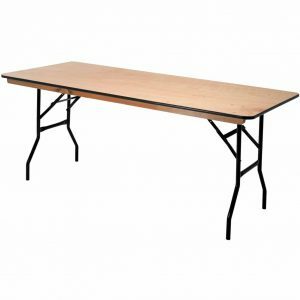 Strong and sturdy in design, yet lightweight enough to be easy to handle and manoeuvre, this can be very useful if you have either multiple venues or need to set up and clear a function in a relatively short space of time. If you have the relevant storage space, you can stack (once folded flat) this particular model up to 20 high. 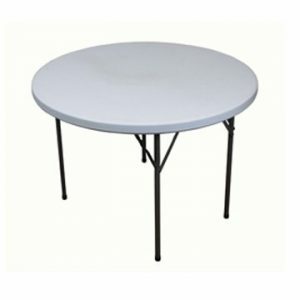 The plastic table top surface means not only are they incredibly easy to wipe clean but they can also be used for outdoor functions. 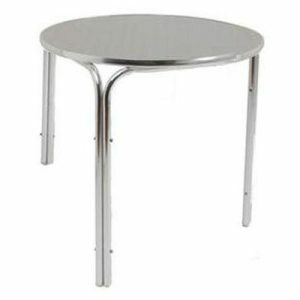 So, very versatile and cost effective too as this is very reasonably priced for a table of this size. 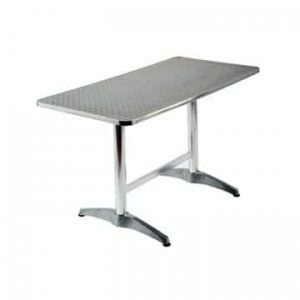 There are plenty of other sizes available too if you want a combination or are simply looking for a different size and if you want to do all your shopping in one go, take a look at our range of banquet chairs. How many people can sit at a 6ft round table? 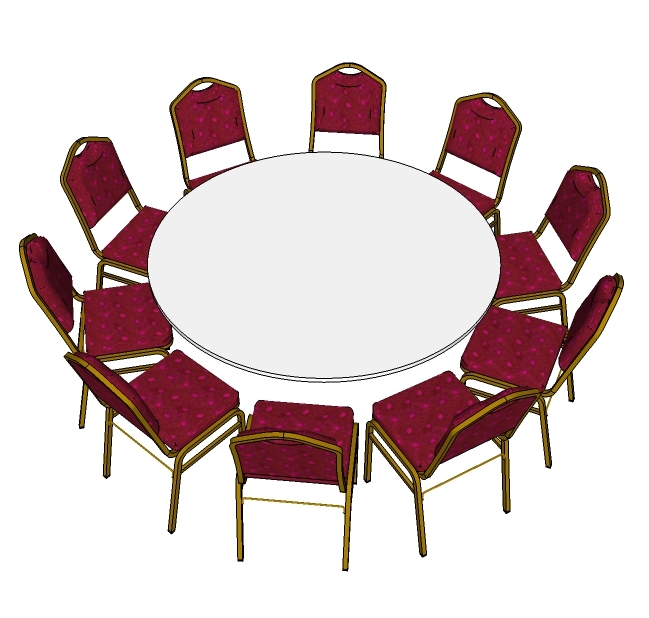 You can comfortably sit 8 people around a 6ft round table but if you look at the image below it is possible to seat 10. 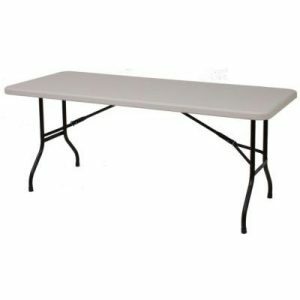 When seating 10 people you can see there is not much elbow room and leg room if all the chairs are pulled into the table. 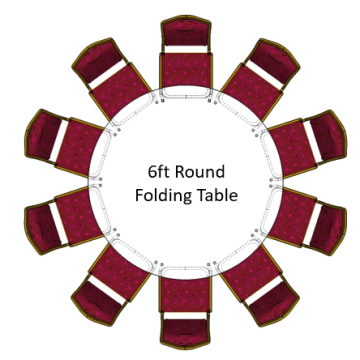 We would advise 8 but if you are holding an event and are limited on space 9 or 10 is possible.